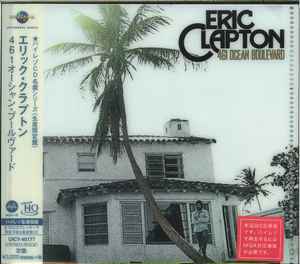 Reissue in Hi-Res CD format (UHQCD format x MQA technology). Features the DSD master in 2010, using UK original master tapes. The DSD master is available in 352.8kHz/24bit high resolution (perfect for MQA-enabled audio players). Comes with lyrics and a description. Green color label coating. Comes in a slim case packaging. *The disc can also be played on regular CD players in UHQCD 44.1kHz/16bit resolution. However, MQA-enabled hardware/software is necessary to harness the full potential of this Hi-Res CD.